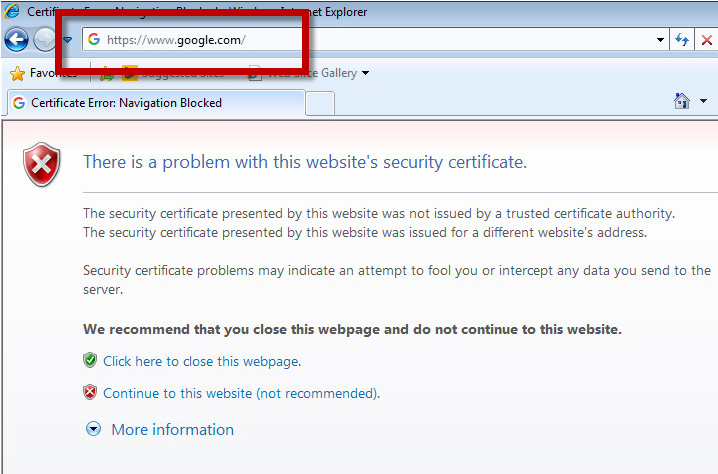 By default the HotSpot system redirect all requests to the SSL HotSpot page. 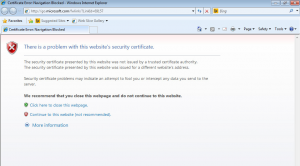 When the user query any website, the HotSpot Firewall redirect TCP connections to the SSL HotSpot Page. 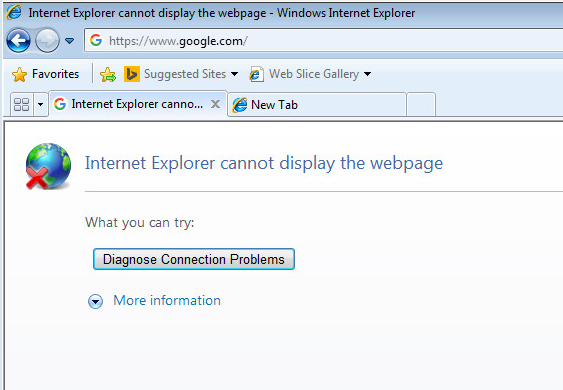 There are no really solution to redirect browsers SSL requests to the HotSpot system. To fix this issue, sure you can install HotSpot certificate in browsers but this is a complicated task on guest accounts. 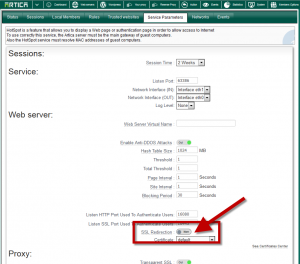 1) Turn OFF the SSL redirection on the HotSpot System. 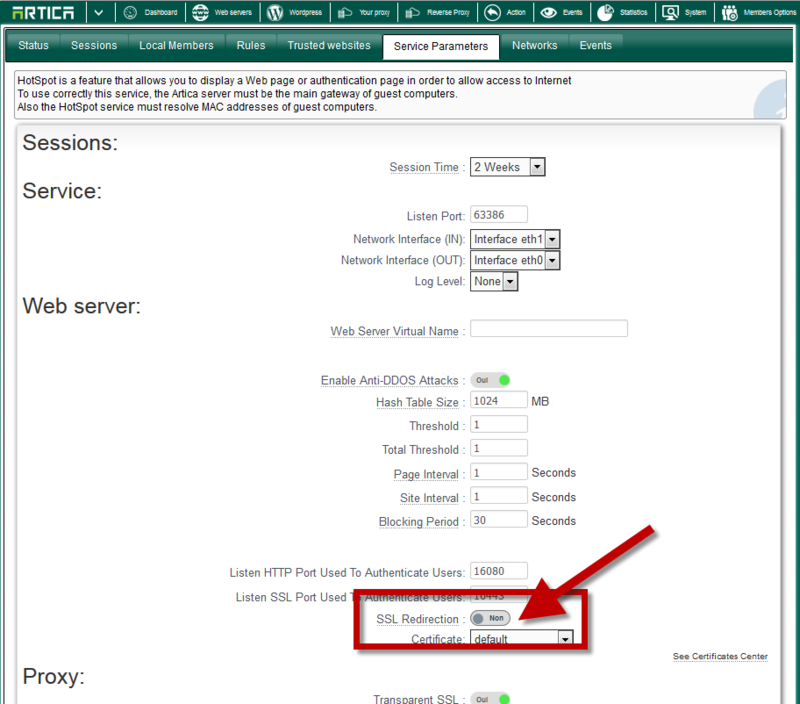 On the Service parameters, search the “SSL redirection” option and turn it to OFF. 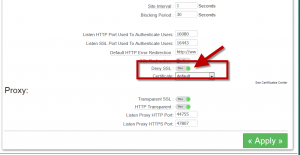 This option will not redirect an HTTP request to the HotSpot SSL web service but to the HotSpot HTTP web service. In this case, when user enter http://something.com, it will be redirect the http://ipofhotspot web page. 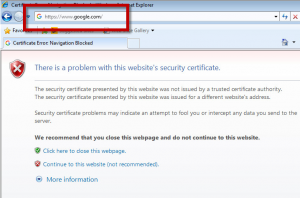 But if an user enter an SSL request ( such as https://www.google.com ) it will still redirected to the SSL hotspot page and browsers display an issue with the certificate. 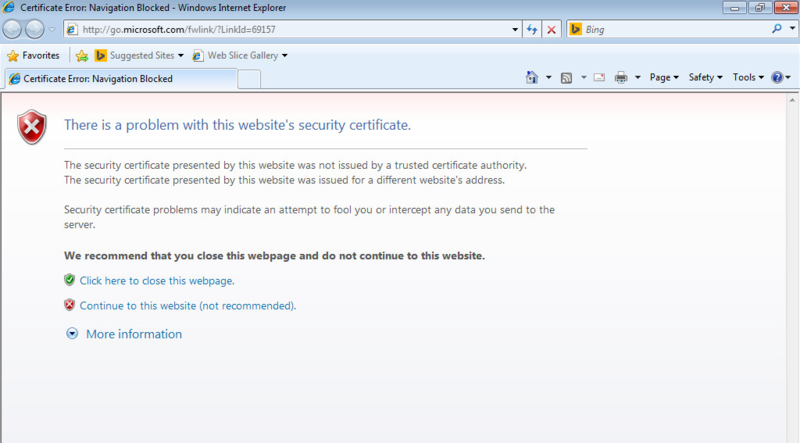 The only way to remove the certificate issue is to deny any access to ssl websites until guests are not logged. 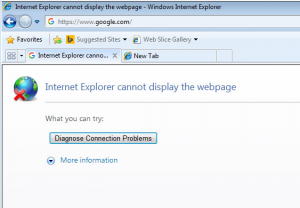 In this case, instead having an SSL certificate error, browser will display an Internet connection issue. User have to enter an HTTP address in order to get redirected to the HotSpot login screen. 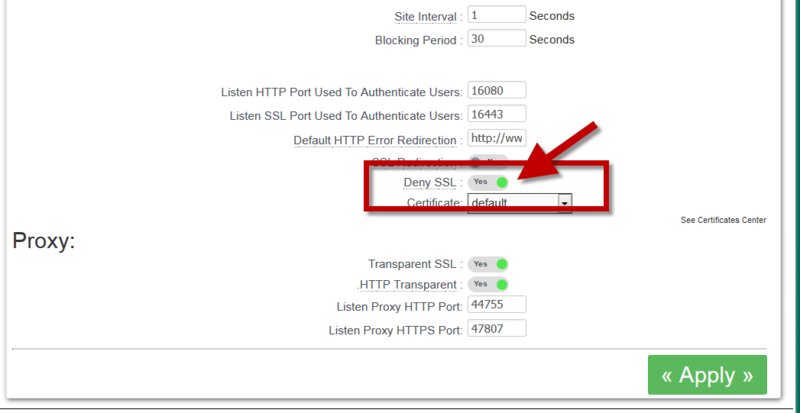 With Artica v2.35 or above, you can totally disable the SSL redirection by enabling the “Deny SSL” option.